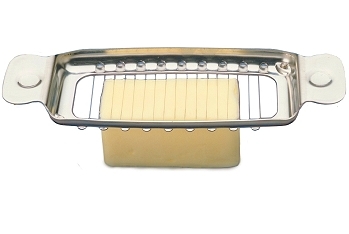 Butter Slicer quickly slices perfect pats of butter. Made of 18/8 stainless steel frame with thin slicing wires. 8" overall length, and can slice a 4 ounce stick of butter.